The Govt. 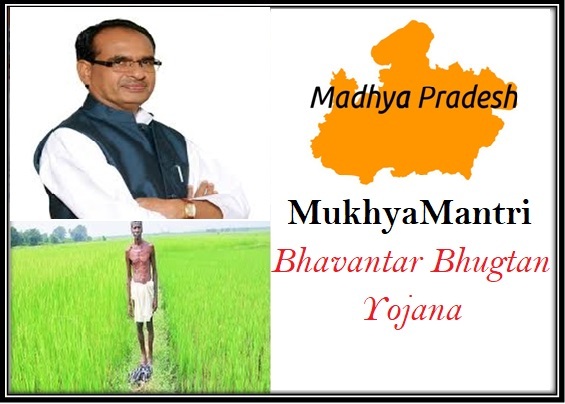 of Madhya Pradesh has announced one scheme called the MBBY which is aimed for the welfare of the farmers in the state and to provide them financial support in case of losses in crops. Few state governments have taken several steps like considering the crop loans to provide relief to the farmers. However, the Madhya Pradesh state government has played a good card by choosing not to waive off the entire farmer loan, but to pay the amount which the farmer is making loss, directly to the bank account of the farmer. To stop the high number of farmer suicides which is growing year after year in the state of Madhya Pradesh, the Govt. has decided to go to the root cause of this problem. The main cause of the suffering of farmers is that they do not the right return which was invested during the cultivation of crops. MSP : Hence under the MBBY scheme, the govt. decided to transfer the difference amount between the current selling price of the crop which is being collected from different mandis (local whole sale markets) and the price of remuneration. The price of crops collected from the crop markets (mandis) is the MSP. The Agricultural Department (Madhya Pradesh Krishi Utpad Lagat and Vipanan Aayog ) will decide the remunerative price of a certain crop. The scheme will be considered for both Kharif as well as Rabi crops. Kharif crops such as soyabean, arhar, maize, etc. will be included under the scheme. Also several Rabi crops may be taken into consideration. There is a dispute resolution mechanism in the scheme also under which a farmer has raised a grievance related to the scheme and its benefits. Each such dispute will be address by Govt. representatives within three months of the grievance registration. Cases like land partition, land demarcation, mutation cases etc. will also be looked after and necessary action be taken within three months. In case the dispute raised is not resolved within the stipulated time, then the Govt. will pay compensation to the applicant and the amount of compensation will be debited from the salary account of the Govt. official. The Bhavantar Bhugtan Yojana (Price Deficit financing Scheme) will cover 8 crops initially. Most of these crops shall be of pulses and oilseeds variety. This is because the government procurement on these crops is low compared to rice and white. The Madhya Pradesh government will give compensation to the farmers of the state if the crops (mentioned in the list) are sold at a price less than the MSP. However, they will only pay as per the cap placed on the modal price. [A modal price is the average price in the market for a particular item calculated over a period of two months in Madhya Pradesh and two other states where the crop is grown and traded in]. So if the MSP of an item is Rs. 3050 per quintal, then the modal rate for the same will be Rs. 2700 per quintal. In this case if the farmer sells the crop at Rs. 2800 per quintal, then the government shall pay out Rs. 250 for each quintal sold. Such a payment shall be sent directly into the bank account of every farmer. However, if the crops are sold at a price of Rs. 2600 per quintal, then the state shall transfer only Rs. 350 per quintal. So you will be getting the amount which will be the difference between your model price and the MSP, if you are eligible for this scheme. So if you grow any of the crops that are enlisted under this scheme then you will have to register your crop at the cooperative society at your village. For joining the scheme, the beneficiaries will have to link their Aadhar card with each application. The Aadhar card linking is mandatory as this will uniquely identify every applicant resulting in no chance of duplicity. Apart from this, bank account details are to be provided so that the scheme benefit can be received through that account. Also documents related to the land measurement where the cultivation is done is to be submitted. The farmers who want to register themselves may collect the forms from the Panchayat offices, office of the Dist. Collector, Block offices, etc. All necessary details like name, address, age, other personal details, Aadhar number, photo, etc is to be provided in the application form. Bank account details like account number, IFSC code, branch name, etc are to be filled up which will be used to transfer the relief amount. One may have bank account in any nationalized bank, Gramin bank or co-operative bank. The application form should also contain the details of the cultivation they have done along with the details / measurement of land used for the cultivation. Candidates interested can now download the PDF format of the application form from the website and fill in all details required. The application forms can then be submitted to various Mandi centers or e-uparjan centers established in different states. You can also visit the online web portal at http://mpeuparjan.nic.in from your web browser. Fill in the details on application form and submit it online. To get registered under the scheme you have to visit the official web portal of e-uparjan. From the main page you have to select the Registration option for Kharif Kisan for year 2017-18. Select to get registered for rice and kharif crop for 2017-18 and you shall be redirected towards the next page. To get registered, provide with your Aadhar card number of Samagra ID number. Once the information has been updated you just have to select registration option. Finally, provide with details of your personal information including name, address and contact information along with your bank account details. You have to submit with copy of your loan amount passbook and land papers or ownership documents. If you are land owner of Patta or Sikmi land then you have to provide with authorization letter. Aadhar car details are also requested to be submitted along with application form. You have to provide with hard copy of your passbook first page displaying your name and other account details for co-operative or nationalized bank. One mobile application named the Girdawari mobile app will be used to keep track of all farm production of the farmers registered under the MBBY scheme. This mobile app will not only collect online data of the crops which are being cultivated by the registered beneficiaries of the MBY scheme, but also will have data of land measurements of those beneficiaries. This app is way more easy and efficient to collect these required data than to collect them physically. Madhya Pradesh is one of the states in India where several farmers are suffering from agricultural losses year after year. The reason behind it is lack of sufficient rainfall, excess rainfall causing flood (like this year), non-availability of irrigation facilities, etc. These problems result in huge losses to the farmers who do the cultivation and sell their crops in the market. As a result, the number of farmer suicides is alarmingly high in this state. So the state govt. has decided to provide financial relief to the farmers by crediting the amount of loss made in selling their crops. Under the MBBY scheme, the financial relief will be directly transferred to the registered bank account of the farmer / beneficiary. For Wheat cultivating farmers of Madhya Pradesh has started registration process online. Under the new Yojana the farmers will be able to make the claims for collecting deficit price from the state government. The claim can be made by the farmer if the Wheat price offered is much below MSP set by the central government. The statements have been made that farmers can now get registered under the scheme online for 2018-19. The farmers can log-on to the official E-Uparjan website at mpeuparjan.nic.in. The web service is available for all Wheat growing farmers within the state. One of the main benefits of the web service is that it is available for access for free. The farmer who wants to take benefit will not have to invest or pay any money under the scheme. A deficit Price (Difference) will be paid by the state government to the farmer in case the price of Wheat in the market is much below MSP as that stated by the central government. Farmers can get registered under the scheme from official E-Uparjan web site after visiting it from the web browser. The home page will offer with convenience where you can select 2018-19 fiscal year under the Wheat cultivation option. Once selected you shall be directed towards second web page displaying Procurement Monitoring system. You have to provide with required details in the space provided. On this page it is important to mention Samagra ID (if not, then you can also mention your member ID) along with the Verification Code. This is important for the process of authentication. Details related to land, personal information and Bank account has to be provided most accurately by the farmer on the application form for the process of authentication. If you need for future reference then you can also click the “print out” option from the web page to collect hardcopy of the form. You may have to follow six distinct steps for completing the process of procurement of the deficit amount. The government has ensured that the farmers are offered with complete transparency at the time of procurement. The system also ensures that the process does not get complicated for the farmer. Farmers, the moment they log on to the official website, have to provide with details related to information requested on the E-Uparjan site. A registration receipt will be provided to the farmer after all details have been verified for authentication. The date on which the farmer has to reach the procurement center for collecting the claim will be notified on the mobile number that has been registered by the farmer. At the procurement center the farmer is also provided with receipt the moment the money is transacted into his bank account. After completion of the process the amount is transferred in farmer’s bank account which can be withdrawn by him at any time. The state government also aims at offering helping hand to the farmers under the new system so they may not have to face losses on account of calamities or price fall. According to the officials the process for Rabi Crop registration for Farmers will begin starting from 12th February 2018. The registration will be done for Onion, Lentils, Grams (Chana) and Mustard crops under the Co-op society for Primary Agriculture for 3500 societies. The last date for registration is till 12th March . The officials have also stated that they expect over 70 percent farmers to get themselves under the new scheme. It is also expected that over 48 percent of the farmers will get registered by the Kharif season. The Bhavantar Bhugtan Yojana is set to get restarted by the Madhya Pradesh government shortly. The scheme has apparently been approved by the Chief Minister Shivraj Singh Chouhan. Talking about the scheme, it is noted that 13 kharif crops will be sold at a lesser price with the state and outside too. For registrations, interested applicants can apply from July 28 to August 31. Some sources claim that the kharif crops are available at lower than the minimum prices in Madhya Pradesh and outside. According to the BBY scheme, it has been available for 13 crops including – wheat, jahwar, soyabeen, urad, bajra, rice, til, groundnut, cotton, ramtil, and more. These crops’ model price shall be calculated by concerning the average price of Madhya Pradesh’s commodity. Farmers require registering for this scheme and selling the products accordingly.